As October is usually a month for celebrating the spooky and fantastical, we here at Literary Mama are sharing the books that help us get into the spirit. My favorite holiday is Halloween. There's something so simple about it with its lack of stress and need for travel, especially right before the madness of the holiday season descends upon us. I love watching horror movies, carving pumpkins, and constructing costumes. I try to get all I can out of the season of the witch with traditions such as haunted houses, decorations, and candy, but I also love a good scare via the written word. 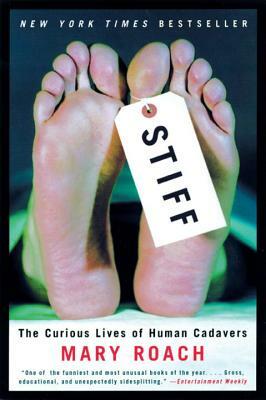 Though it's not traditionally scary, I recently read Mary Roach's Stiff: The Curious Life of Human Cadavers . Using humor and wit, she delves into the world of the human cadaver. Roach explains the history of using the postmortem human body in the study of anatomy, as well as for some very interesting tests. Roach describes the world of crash tests, bullet and bomb tests, and even the crucifixion test in fascinating detail. Some of the best parts of the book, for me, included weird facts and tidbits such as the creation of the "ectoplasmic larynx," or a machine "designed to communicate with soullike agglomerations of life units." I thought this book might make me squirm with too many gross or gory references, but Roach delivered the information in a way that was both funny and informative, never reaching the garish levels I feared. If you are the type that finds yourself fascinated with crime shows and forensics, this book is definitely for you. Ginny Kaczmarek, poetry editor, found herself celebrating the season with the author of the poem "Because I could not stop for Death." 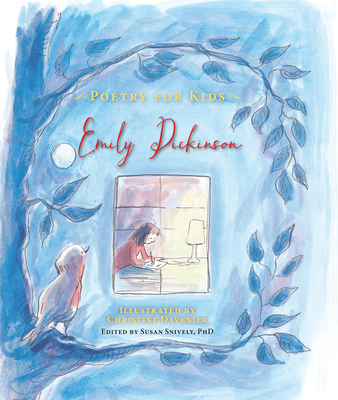 She writes, "The gorgeous, brand-new Poetry for Kids: Emily Dickinson from Quarto Publishing, edited by Dickinson scholar Susan Snively, impressed me with its thoughtful selection of poems and energetic, appealing artwork by Christine Davenier. Divided into seasons, 35 of Dickinson's nature poems dance among beautiful ink-and-watercolor illustrations. Classics such as 'Hope is the thing with feathers' and 'There's a certain slant of light,' as well as lesser-known poems, are celebrated with images of bright, lively flowers, insects, birds, and children dancing, reading, cloud-gazing, and running in tall grass (while a snake slithers in the foreground). My only complaint would be the lack of people of color in the paintings with human characters. Definitions of challenging words, such as 'troubadour' or 'pensive,' appear in unobtrusive, italicized text near the bottom of each page (thank goodness poems are not marred with asterisks). At the end of the book, two pages titled 'What Emily Was Thinking' offer short summaries of each poem, providing not only context ('A cricket's song helps the sun finish its daily work') but also simple explanations about how the poem's craft affects our understanding ('The poem's gentle rhymes…create a hymn of farewell'). This lovely book, a wonderful gift for budding poets, is also appealing for teachers to encourage students' careful observation and inspiration to write—and paint—our world." Literary Reflections editor Andrea Lani shares, "While I enjoy staying up late reading a good toe-curling novel of suspense, I avoid gore and gratuitous violence in literature, so books rarely keep me awake. But I had to temporarily set aside one of the books I'm reading because it was giving me nightmares. 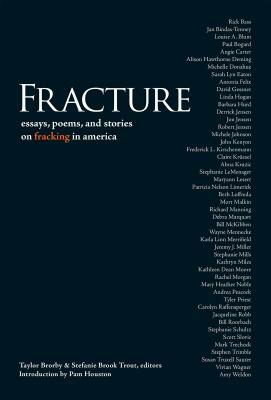 Fracture: Essays, Poems, and Stories on Fracking in America gives literary voice to the current American energy boom. Edited by Taylor Brorby and Stefanie Brook Trout, Fracture tells the stories that don't always make it to the discussion of energy independence: sexual assault in boom towns, fragmentation of communities, the emotional effects of watching one's childhood home go up in smoke. At first I thought it amusing that my oldest son, binge-reading Stephen King, slept like a baby, while meanwhile I was being haunted by visions of oil derricks and natural gas flares in my sleep. Then I realized that the condition in which we're leaving the earth for our children is a much scarier story than imaginary ghouls." Senior Editor and Literary Reflections Editor Libby Maxey escaped to a magical land with her pick. 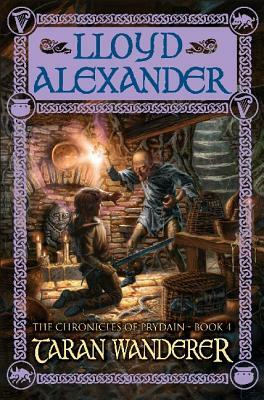 She states, "I love a good audiobook, and I think Lloyd Alexander's Chronicles of Prydain, as read by James Langton, are among the best I've encountered. My family recently finished listening to Taran Wanderer, the fourth of five books in this venerable YA fantasy series. In this volume, Taran, an assistant pig-keeper who has fought alongside royalty, sets out on a quest to discover his parentage. He hopes to find proof that he is of noble birth so that he can consider himself worthy to seek the hand of the plucky princess Eilonwy. He ends up on a quest for identity that is much less grandiose but much more relevant: one focused on learning, exploring the limits of his capabilities, and transcending the burden of ego. The loyal friends who have accompanied him through previous adventures are as important as ever, even as Taran descends into a long, dark night of the soul. Meanwhile, the misplaced priorities of the wasted-yet-semi-immortal sorcerer, Morda, are a reminder that what we most want to be is not necessarily what we are meant to be. Although written fifty years ago, Alexander's novels haven't aged a bit; with their roots in Welsh mythology and modern story-telling, they're exciting, humorous, and gracefully written specimens of a genre that doesn't often get much literary credit. For those listening along with school-aged children, they're also a fine segue into a conversation about what it means to be human." Share your favorite scary books with us in the comments below, or tweet us @LiteraryMama. 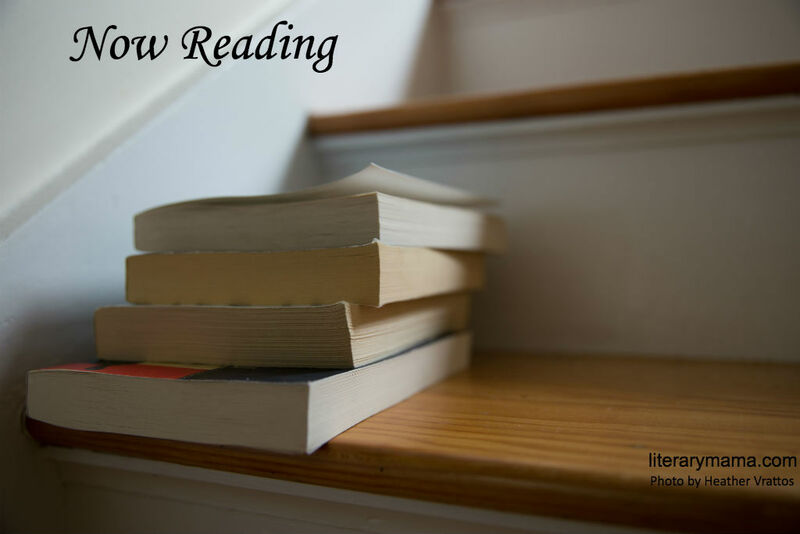 For more staff picks, visit us on Goodreads.